'The Governors at Madeley Nursery School are seeking to appoint an Early Years Keyworker / Educator to join the team at this friendly and creative school. The role requires the highest level of professionalism, creativity and enthusiasm for the education and care of young children and deep commitment to personal professional development. Madeley Nursery is a dynamic school with fantastic children and families, set in the south Telford area. If you are fascinated, energised and inspired by the approaches of the preschools in Reggio Emilia; if you wish to be involved in a school that offers great professional development and a friendly and supportive school community then contact the school for more information. A job share will be considered but only between 2 applicants working either 5 mornings or 5 afternoons to cover the whole day. Madeley Nursery School is committed to safeguarding and promoting the welfare of children and young people and an enhanced DBS disclosure will be requested for the successful candidate. Informal visits to the school are welcome.Please telephone the school to arrange an appointment on (01952) 388210. Hello, we've received new stock of this most useful book. Here below is a detailed review by a network member.The bookshop link is at tthe bottom of the article. 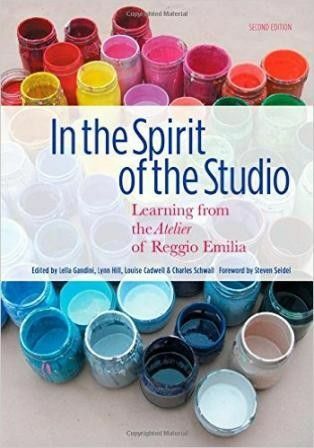 "This is an inspirational book which clearly documents different stories, projects, challenges and ideas by educators, from both Reggio Emilia and North America, on the prominence of the atelier space within the schools. Examples are given from American schools inspired by the unique and creative philosophies and practices of the Reggio Emilia preschools, alongside articles and quotes from renowned creative thinkers such as Vea Vecchi, Carla Rinaldi and Loris Malaguzzi who have been key figures in the growth of the Reggio Emilia approach. 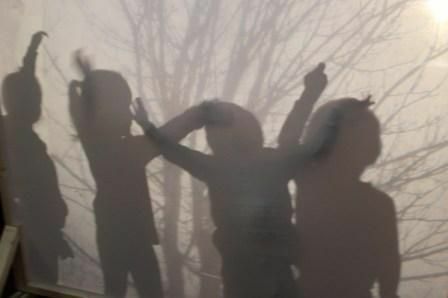 In the Spirit of the Studio: Learning from the Atelier of Reggio Emilia is beautifully illustrated making visible the learning processes from both children and adults." Is the UK government intending to push early childhood education in Egland to the wire, or just being careless? "Ministers provided extra money for Nursery Schools from 2017 after a shake-up of funding left some nurseries worried they would close. But the funding supplement agreed then runs out in 2020. The government has given no assurances about what will happen after this date. Education select committee chairman Robert Halfon told the Today programme Treasury "bean-counters" would store up huge problems if the schools were not protected. Conservative ministerial aide Craig Tracey and Chichester MP Gillian Keegan said they had raised the issue with ministers. England has 400 maintained nursery schools, which are owned and directly paid-for by the state. They have to hire better-qualified staff than private nurseries, and often teach and care for children with disabilities and special education needs. The majority are based in disadvantaged areas. A majority of the schools expect to run deficit budgets next year, according to a survey from an All Party Parliamentary Group supporting nurseries. The Education Secretary Damian Hinds has identified programmes run in state-run nurseries as assets in improving social mobility - staging a media event in a Luton school in April - but some are already struggling to stay open. Carole Jacques, who runs a nursery in Norwich, said they had to phone print companies begging for paper for children to draw on after money ran out. Ms Jacques said her school would definitely close without the funding, as did Amanda King who runs two nursery schools in Warwickshire. She said her schools were already losing £60 a week for every child with special needs they accepted. Her MP Craig Tracey said there would be "huge consequences" if the schools closed, and he didn't know what would happen to children there with special educational needs as private nurseries had no obligation to take them. You can also listen to BBC Radio 4 report here (link). What is your MP's position? Some MPs such as mny in the Education Sub-Committee are highly informed and committed. to early childhood education. Many though, including cabinet ministers, are not. Some may be confused and distracted; some may not care. Now is the time to help your MP become informed if they aren't, and to support them in championing education if they are.